Kevin Bomhoff is a start-up guy. Whether launching programs for the Kansas Leadership Center, building a successful university-based consulting and training center, developing strategies to support people isolated by mental illnesses and poverty, or implementing newly legislated systems reform, Kevin loves the energy at the ground floor of a new venture. Working with a start-up or a start-over, Kevin focuses on engagement. For him, everything boils down to sharing the right information, with the right people, in an energizing, collaborative process. 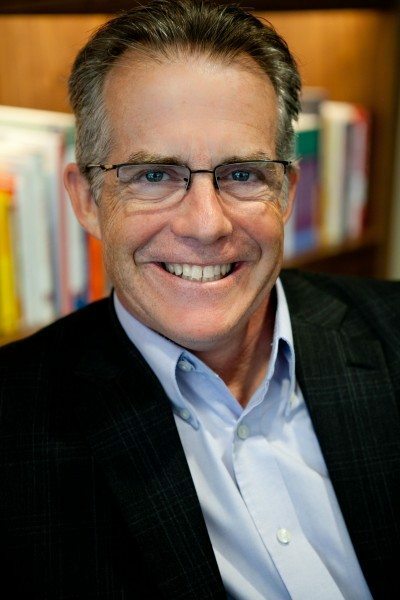 A founding member of KLC’s core teaching team, Kevin currently serves as chair for custom programs creating and delivering leadership development for businesses and organizations in Kansas and around the world. Kevin also co-chairs KLC’s Teach Leadership Intensive and teaches in Lead for Change. Kevin is strategic development director for the Wichita State University Community Engagement Institute. In that role he facilitates strategic planning with nonprofits, governments, coalitions, and hospitals; provides technical assistance to communities developing healthy living policies and practices; and provides staff development and planning support for centers within the Institute. He is a Licensed Master’s Social Worker, Kansas Health Foundation Fellow, International Coaching Federation Certified Coach, and Myers Briggs Type Indicator (MBTI) Certified Interpreter. He completed the Art and Practice of Leadership Development at the Harvard Kennedy School of Government and Executive Transition Training and Mentorship with TransitionsGuides-Raffa, PC. The National Compeer volunteer program recognized Kevin for meritorious leadership. He has received the National Mental Health Association Care and Treatment Award, The University of Kansas Mental Health Leadership Award, and the Kansas Exemplary Leadership Award from the Mental Health Consumer Advisory Council. Not surprisingly, Kevin’s start-up spirit extends beyond his corporate and community work, inspiring adventure-packed weekends of gravel and road cycling, and vacations for mountain climbing and snowboarding. Nonetheless, his greatest joy is in the quiet rewards of life as husband, father to two successfully launched kids and their spouses, and “Pops” to his grandson Jamie.